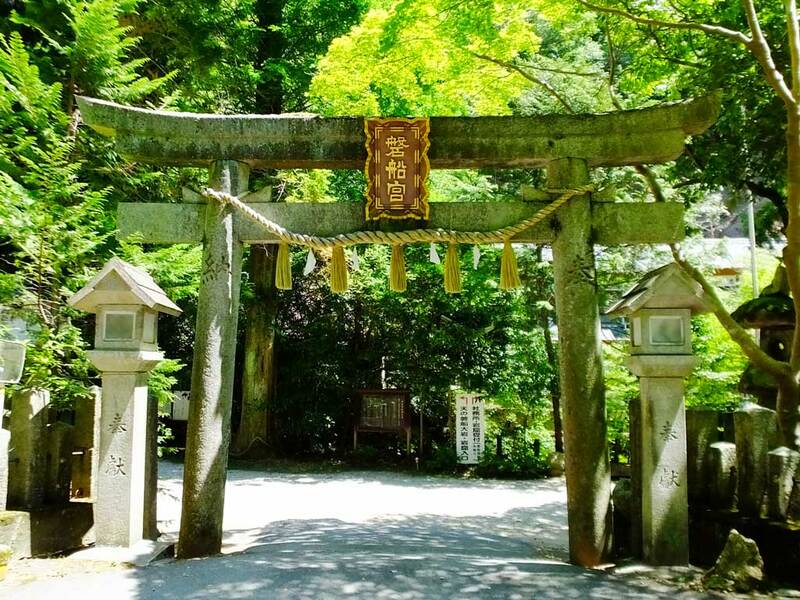 Iwafune Shrine doesn’t have the main sanctuary called honden like other Shinto shrines. 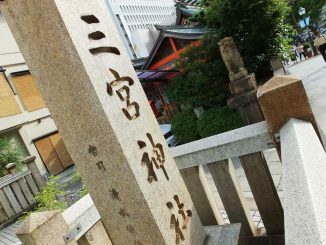 There is only a small building called haiden in front of Ama no Iwafune, and visitors worship here. When I saw Ama no Iwafune, I was so overwhelmed that I couldn’t say anything. The height of the rock is about 12 meters, and the width is also about 12 meters. It was my first time to worship a rock. 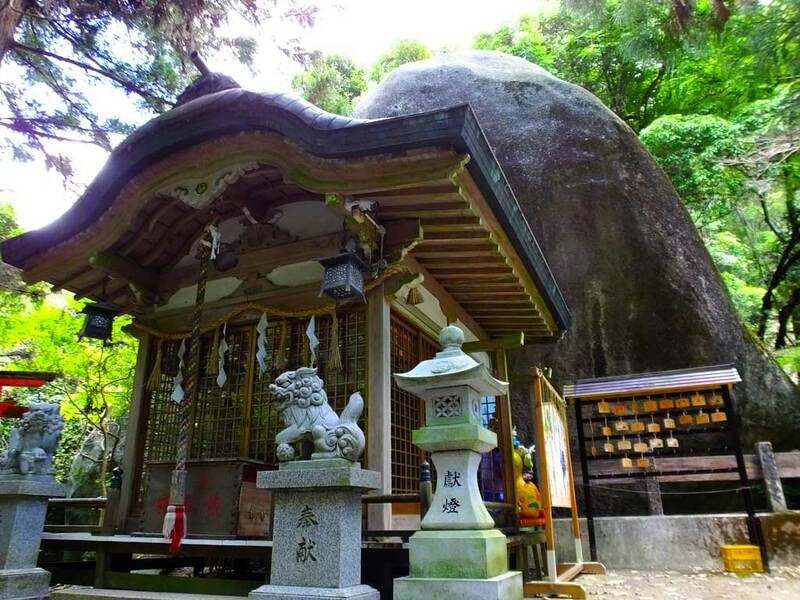 Since ancient times, Iwafune Shrine has been known as a place for ascetic practices. Here you can experience what is called gankutsu-meguri―there is a holy narrow rock cave, and you can go through it just like ancient people did. 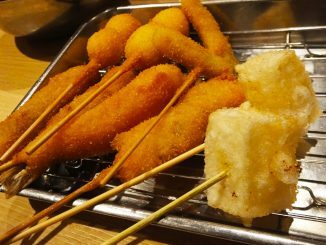 Gankutsu-meguri is said to be a learning experience to born again. It looks like a fun adventure but actually is a sacred practice and more dangerous than supposed, so be sure to follow the rules. Wear white tasuki sash that you receive at the shamusho (the office of the shrine). If your shoes have slick soles, change into zori straw sandals you receive at the shamusho. It is for the ages of 10-74 only. You are not allowed to go into the cave after drinking alcohol. 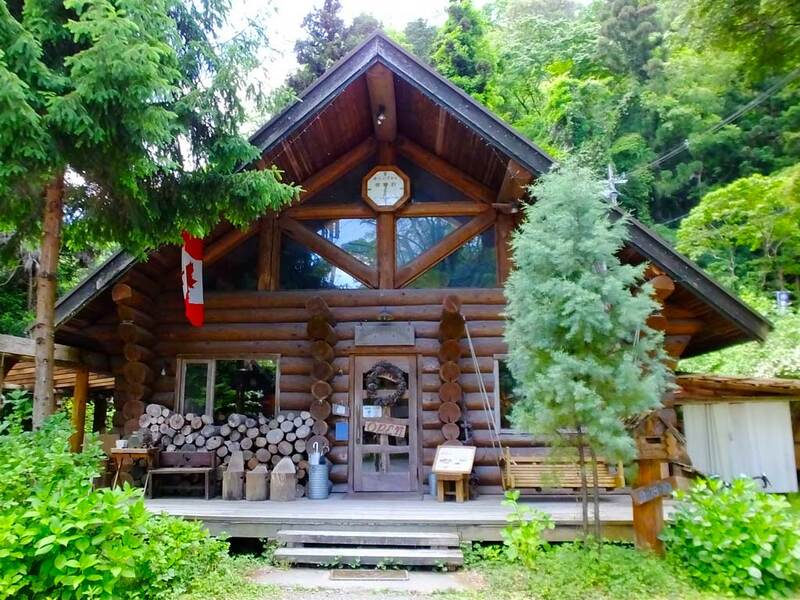 It is closed at night, when it rains or when the river in the cave has risen. Also anyone is not allowed to go into the cave alone, so be sure to go there with someone. Before entering the cave, leave all your luggage at the shamusho. You can’t even carry small things like a cell phone. 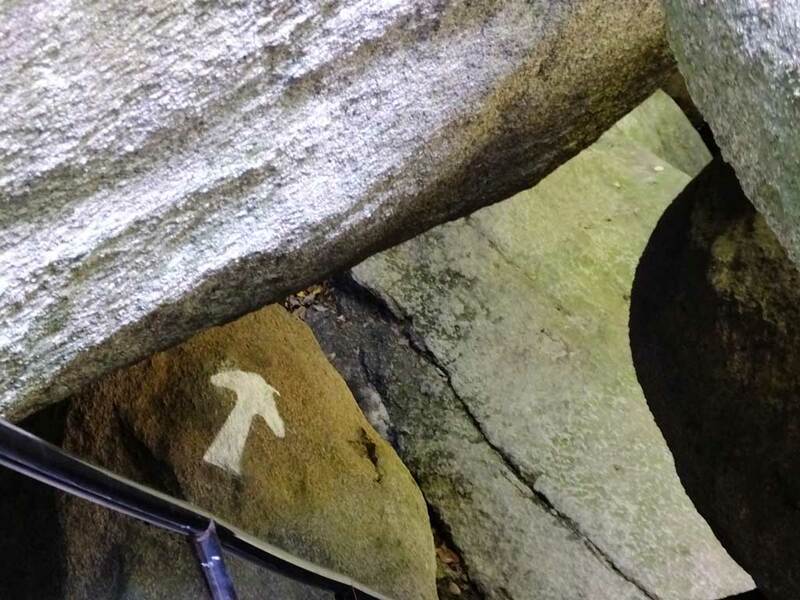 In the cave, check arrow marks drawn on the rocks while making your way. When I went there, the rocks were perfectly dry and I went through the cave relatively safely in 10 minutes. After the rain, however, it must be more dangerous and your clothes can get dirty. Beyond the cave, you will see what is believed to be Ama no Iwato, a rock cave in Japanese Mythology. 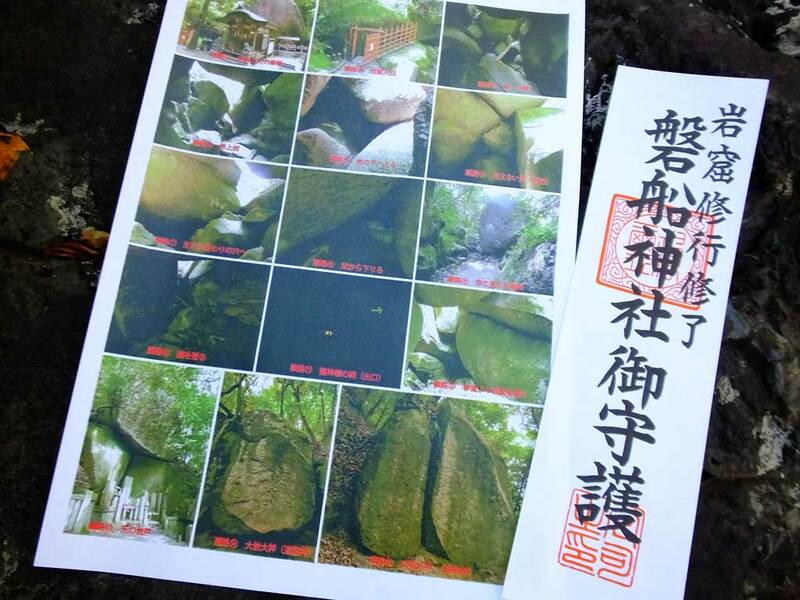 (There are many other rock caves in Japan that are also believed to be Ama no Iwato.) After you finish the gankutsu-meguri, you can receive a certificate written on an amulet paper. I received pictures of the cave, too. You can see Ama no Iwato in the left down corner. 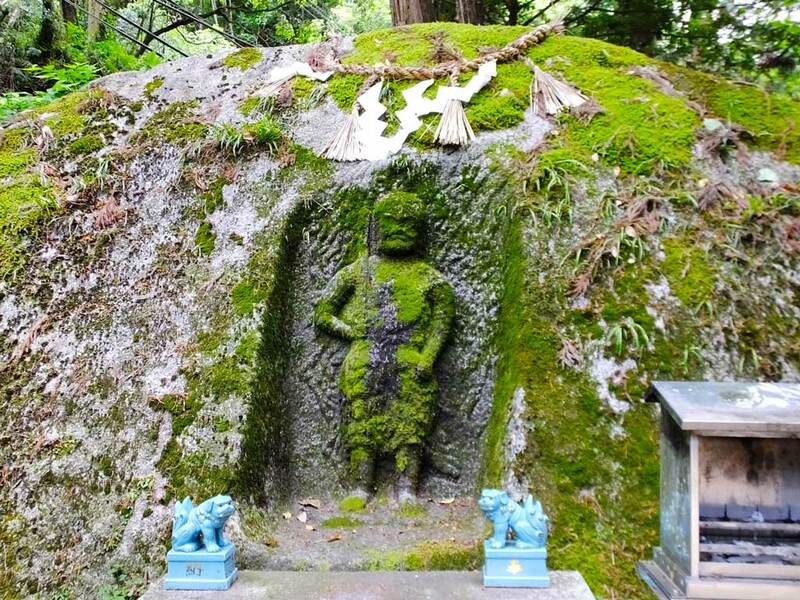 One more thing you must see in Iwafune Shrine is Acala (known as Fudo Myo-o in Japan). Acala is a guardian deity of Buddhism. 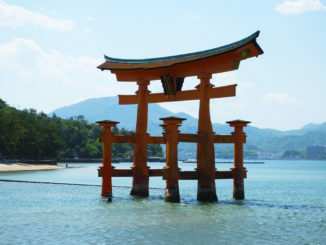 It is interesting that you can see Acala in the Shinto shrine though the syncretism of Shinto and Buddhism is sometimes seen in other shrines and temples in Japan, too. 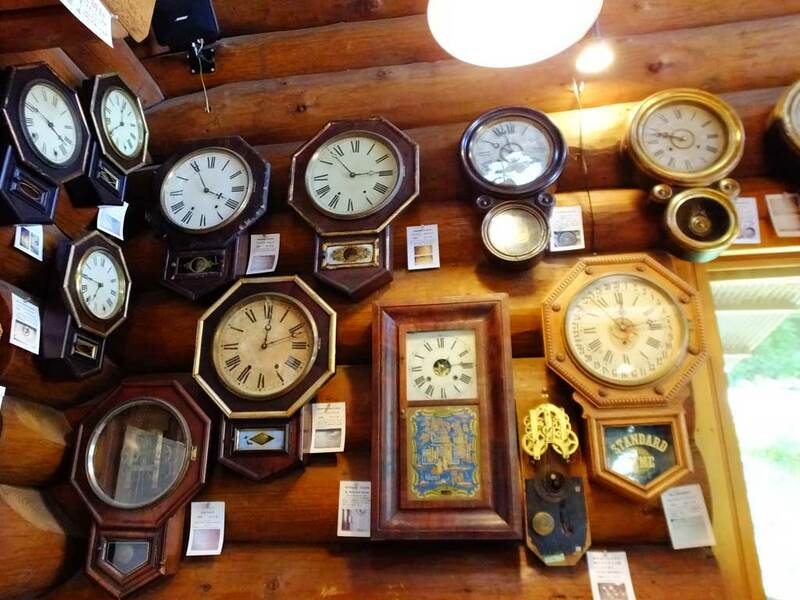 Near Iwafune Shrine there is a cafe-restaurant, Grandfather’s Clock where you can see lots of antique clocks on the walls. 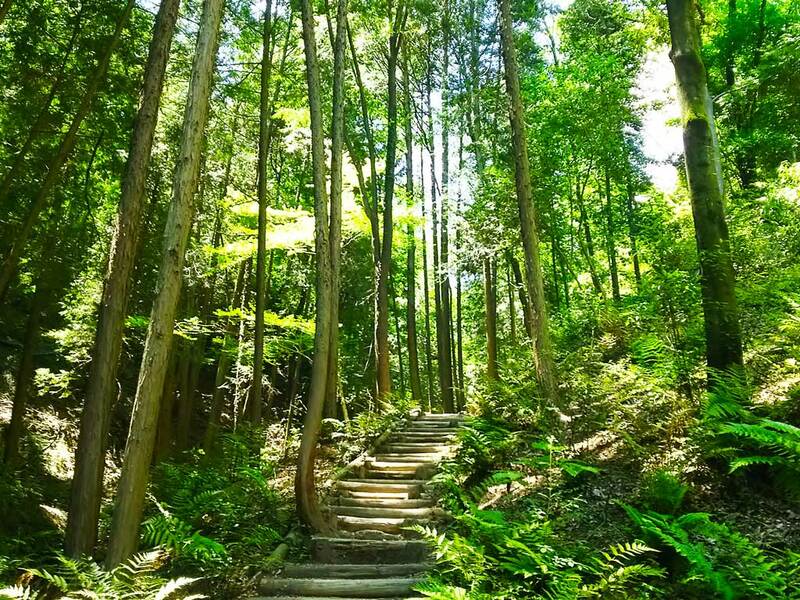 Also there is a nature park, Hoshida Enchi near there. 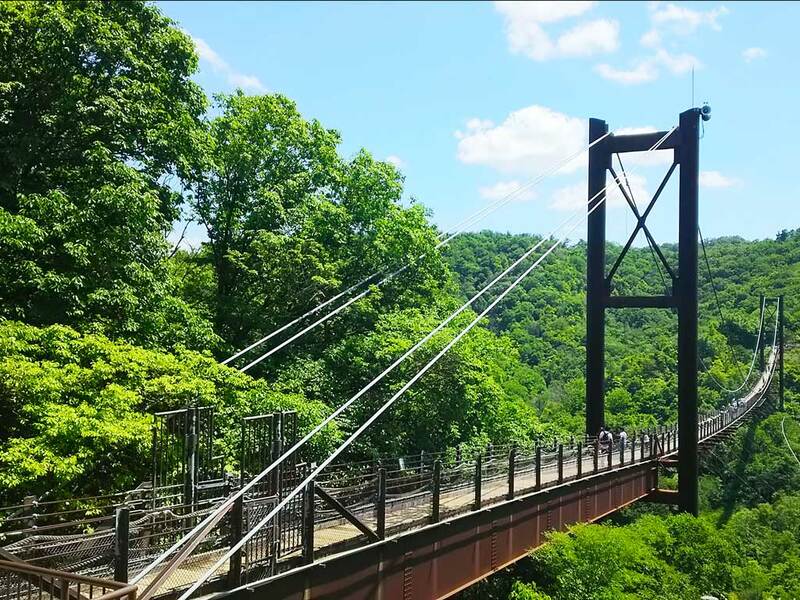 Hoshida Enchi is a popular leisure spot that has one of the longest suspension bridges called Swing of Stars (Japanese: Hoshi no Buranko). I visited Iwafune Shrine in the morning and had lunch at Grandfather’s Clock. Then I went to Swing of Stars and had a great time in the park. Why not make a day trip like this? I’m sure you can have a wonderful day!